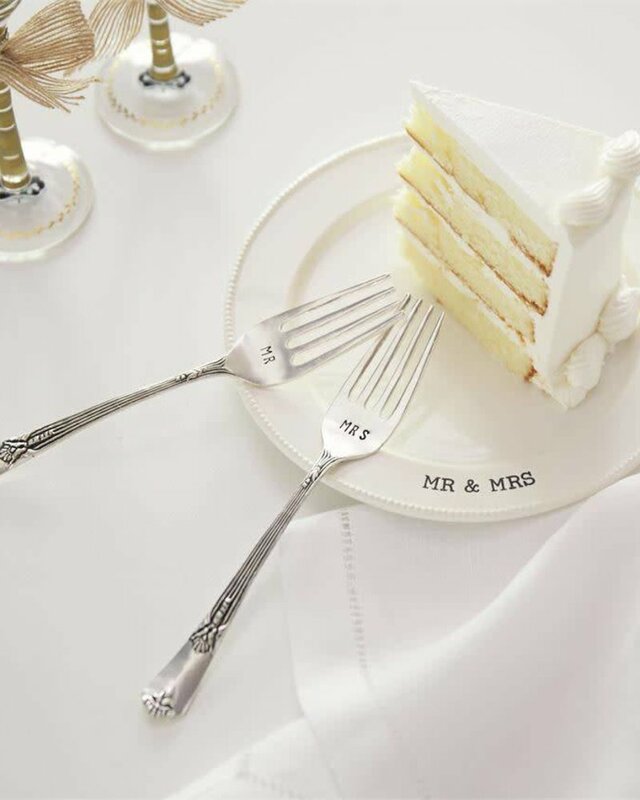 Beaded edge ceramic plate features debossed "MR & MRS” sentiment. 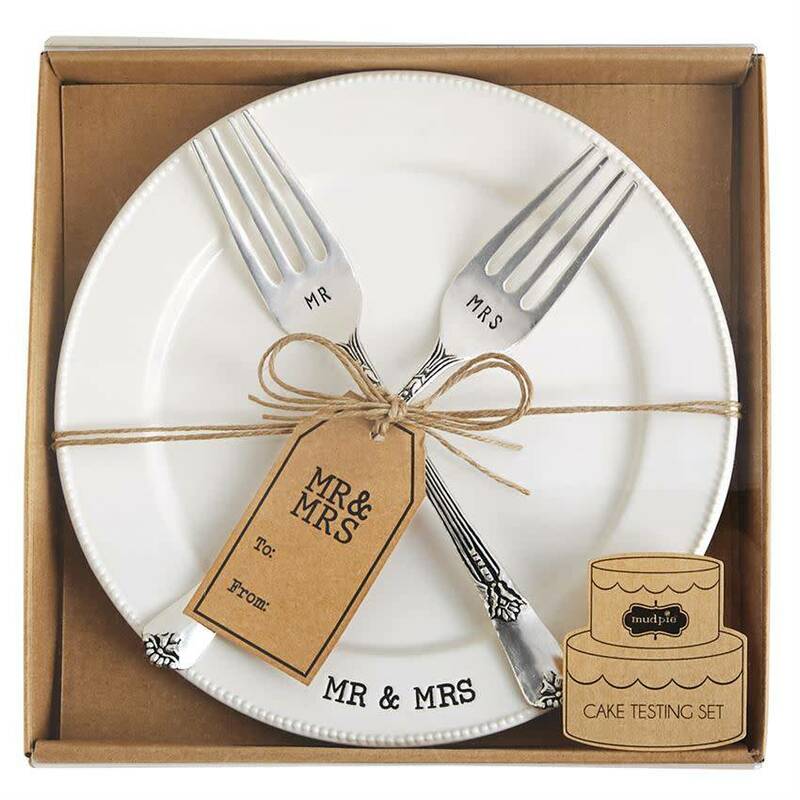 Arrives with two silverplate "MR” and "MRS” stamped forks. 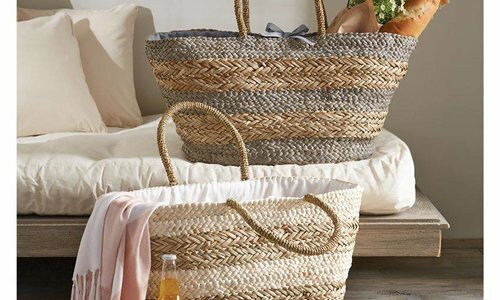 Arrives in gift box ready for giving. Two-sectioned wood beer cap & wine cork display box features printed glass window, top drop slot and cast aluminum handle. 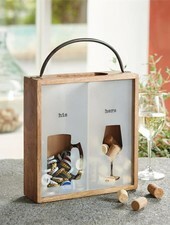 Showcase the beer enthusiast's bottle cap collection on "his" side & the wine ethusiast's cork on "her" side. 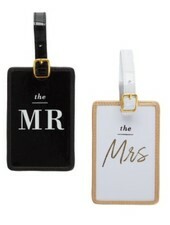 Honeymooners luggage tag s includes one black tag "the Mr." and one white tag "the Mrs." Arrives in gift box ready for giving. 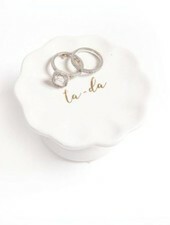 Cute engagement party or bridal shower gift. 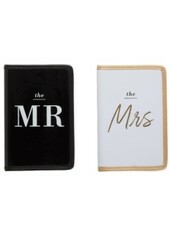 Honeymooners passport cover set includes 2 designs: The Mr. and The Mrs. 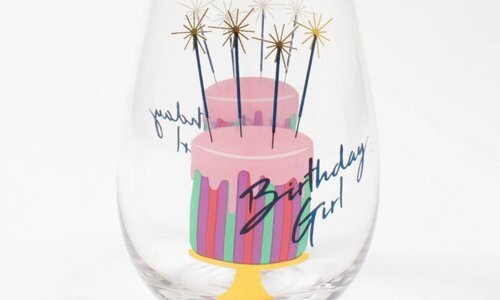 Arrives in gift box ready for gifting at bridal shower, bachelorette party or wedding. 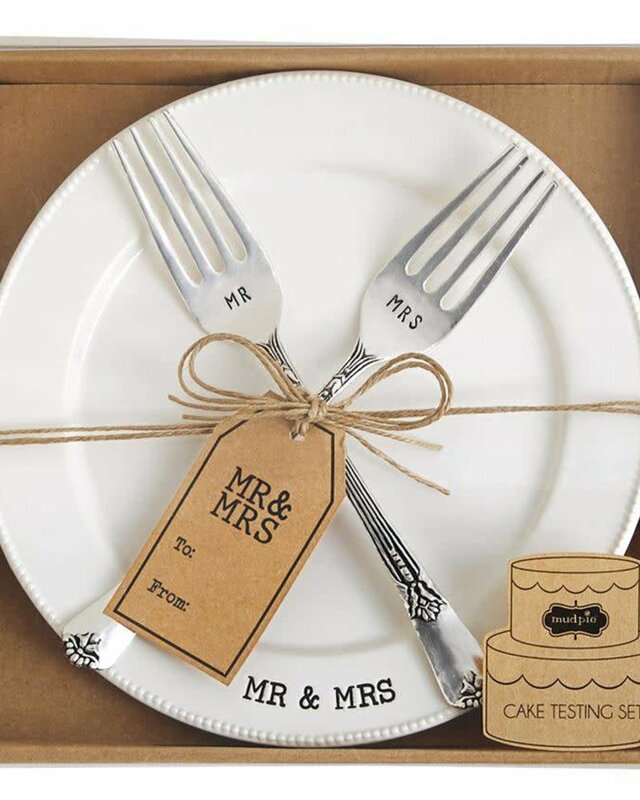 Give the bride and groom something unique and instagramable for their wedding. 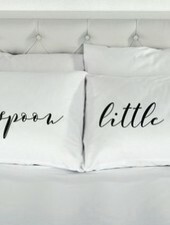 These pillowcases are white with black text and says, "big spoon," and "little spoon." 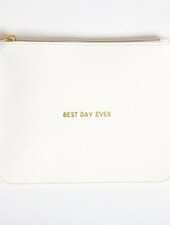 This white croc leatherette pouch holds all the essentials so you can have the best. day. ever. 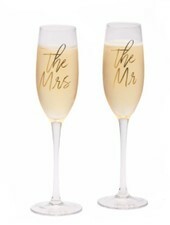 Great gift for a bride at her bridal shower or wedding day. 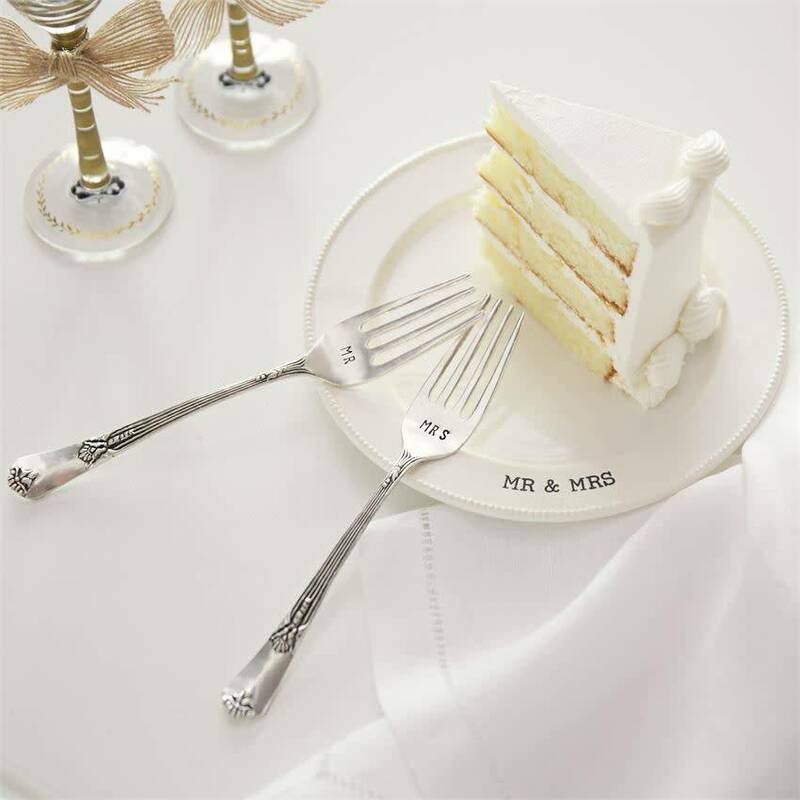 Display your engagement or wedding ring with this perfectly sized mini cake stand. 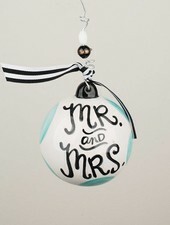 A beautiful first Christmas ornament for a new or seasoned couple is this hand-painted ceramic ornament! The ornament comes ready to display with wire hanger, ribbon, and glass beads! Display your love story in this 'our love story' frame. 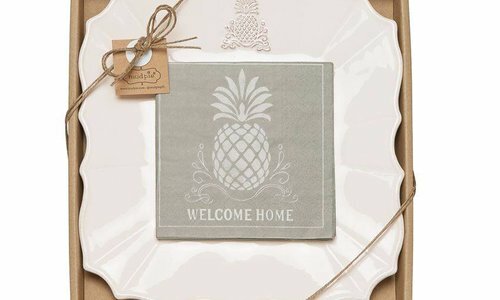 Wedding pictures, engagement pictures, or just pictures of your love would all be put on beautiful display in this simple but elegant frame.